Sky confirm exclusive F1 TV deal, while drivers hit out at the management of the sport. 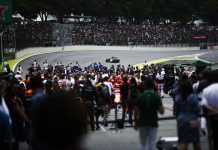 Yesterday saw some pretty major news for Formula 1 with the Grand Prix Drivers Association (GPDA) issuing an open letter about their concerns over the management of the sport, the decision making and the future direction of the sport. The letter was universally well received and the majority of fans and media approved of the points made. All of which are pointing the finger at Bernie Ecclestone, Jean Todt and Formula One Management (FOM). What will be the outcome? Who knows. Many expect nothing. It’s just a letter. Bernie and FOM won’t listen or be phased by it. We expect his retort to be something along the lines of “I didn’t ask you to race in F1. If you don’t want to, that’s fine. There are plenty of drivers that do”. Classic. Will the drivers strike? No. The last time that happened was 1982 and modern F1 commercial arrangements, contracts and sponsorship etc would make a drivers strike pretty much impossible. It won’t happen. On the same day, Sky issued a press release celebrating their new contract where they will have the exclusive rights to show F1 live from 2019. 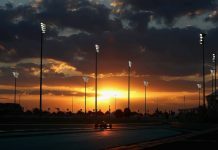 Which means Channel 4’s new 3 year contract to show half the races live will not be extended, signalling the end of free-to-air live coverage of Formula 1 in the UK. Except the British Grand Prix, that will be live and free-to-air on the Sky network (we’re unsure how this will work at present). Also highlights of every race will be free-to-air too, but also on the Sky network. While Sky is celebrating this news, uproar from fans is deafening and being an F1 fan in the UK has just become a very expensive habit. For those that do have Sky already though, the package has just become better value and the channel has confirmed that they’ll broadcast in Ultra HD from 2017. While the Sky F1 coverage is very good, it’s a great shame for UK fans to finally lose pretty much all free-to-air live coverage of the sport, something that’s been enjoyed since F1 started being broadcast on the BBC many decades ago. It’s worth noting that the media coverage of the sport was referenced in the open letter, so a slight sense of irony that Sky’s announcement was released on the same day. Coincidence? Maybe. Maybe not. Also we can’t help noticing that while every news outlet reported the GPDA letter, one news outlet didn’t. Which one? Sky. Add your comments below, keep it clean, youngsters read Badger GP too.